Monday morning wouldn't be complete without an audio summary of the top family law news stories and cases from the last week. Update yourself in 4 minutes 32 seconds! 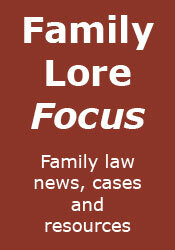 How do you define 'win' in family cases? What the heck is a "pathway" anyway?